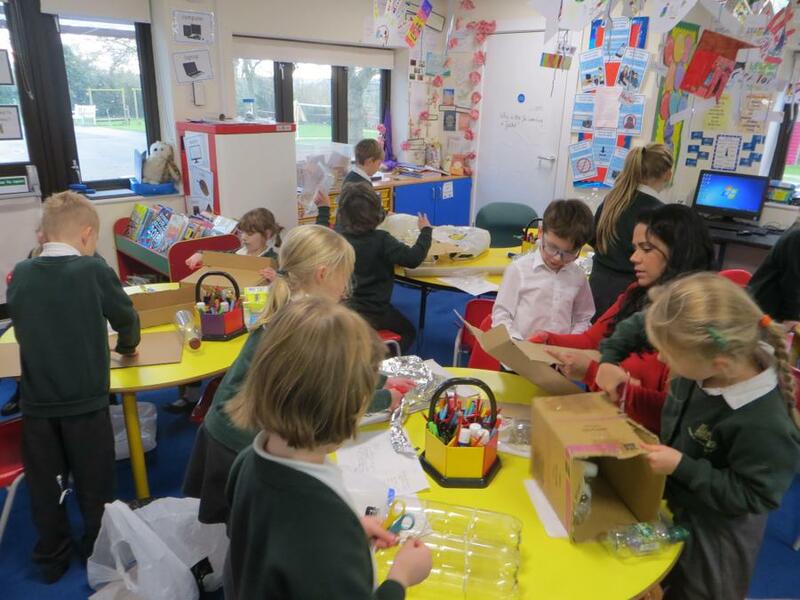 Our topic this term is 'Explorers'. Happy New Year from Class 2! 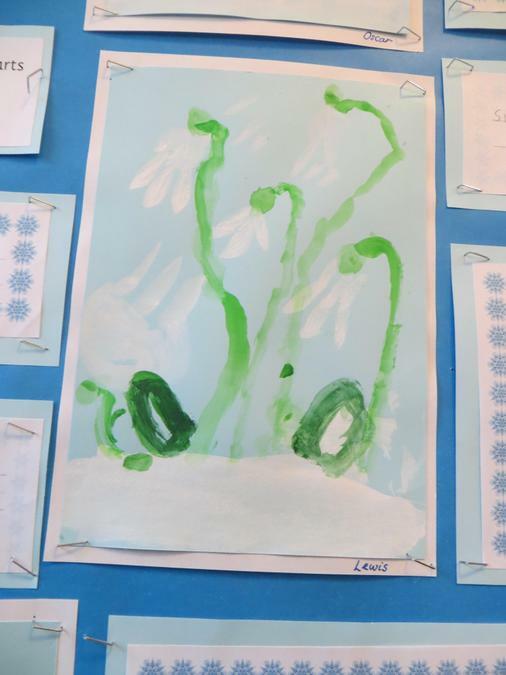 We started the new year by thinking about the season of winter. 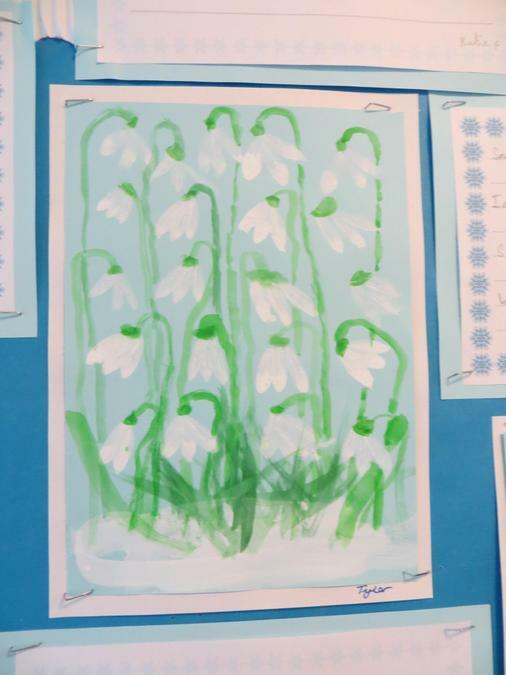 We painted pictures of snowdrops. 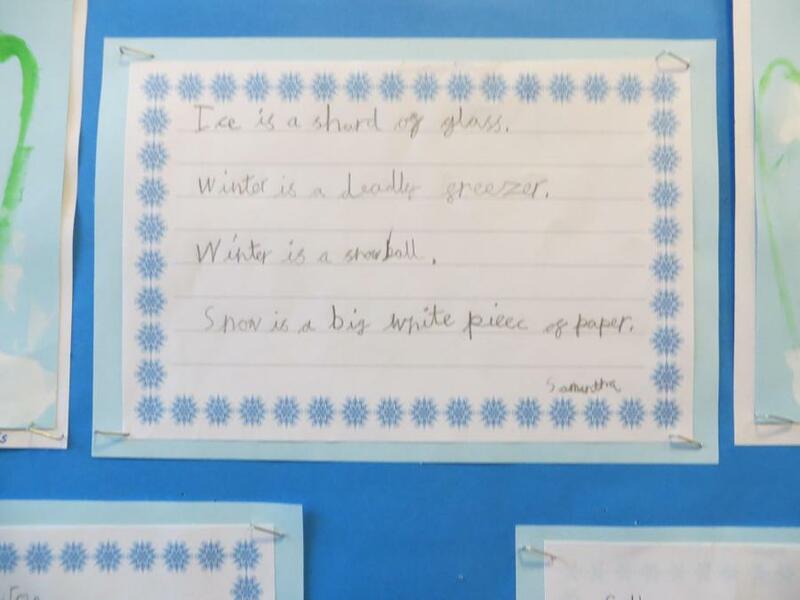 We made alliterative sentences about the winter. Alliteration is when you use the same sound in almost all the words in a sentence. Chilly Charles chases cheeky children. Snowmen slide down slippery sliding slides. Silent Steve slips and slides. 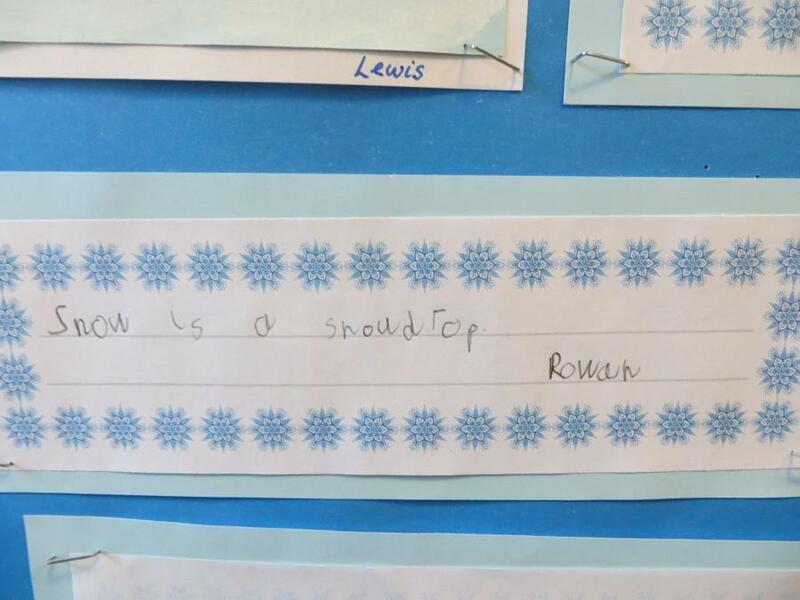 We then wrote metaphors about winter. A metaphor is when we describe something as something else. 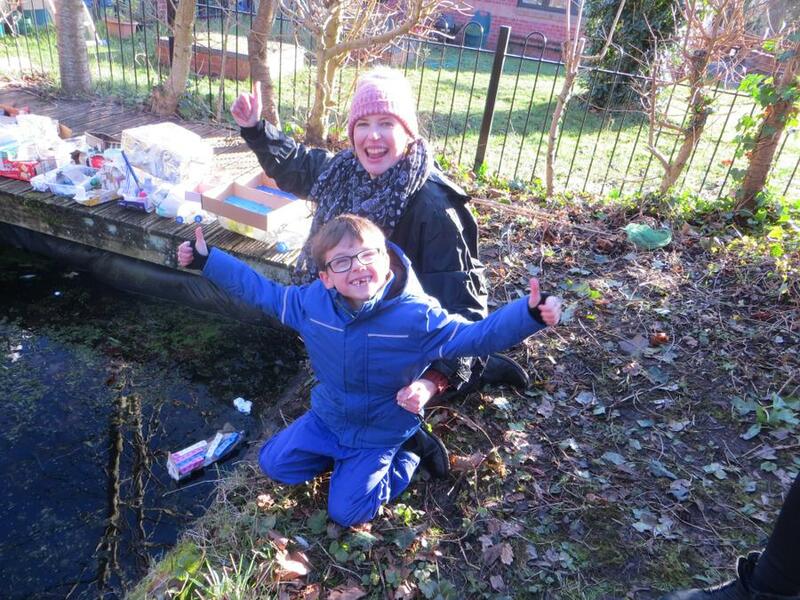 and had fun testing them on the pond to see if they would float and hold 30 unifix cubes. 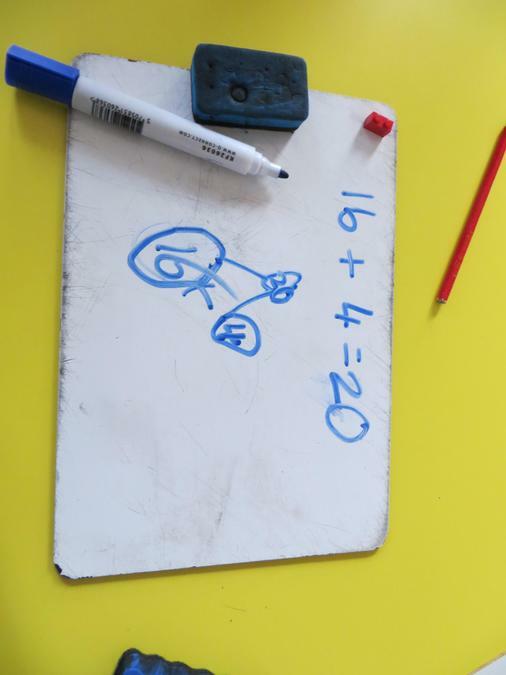 My favourite thing is maths because it is really good and you get to know numbers. 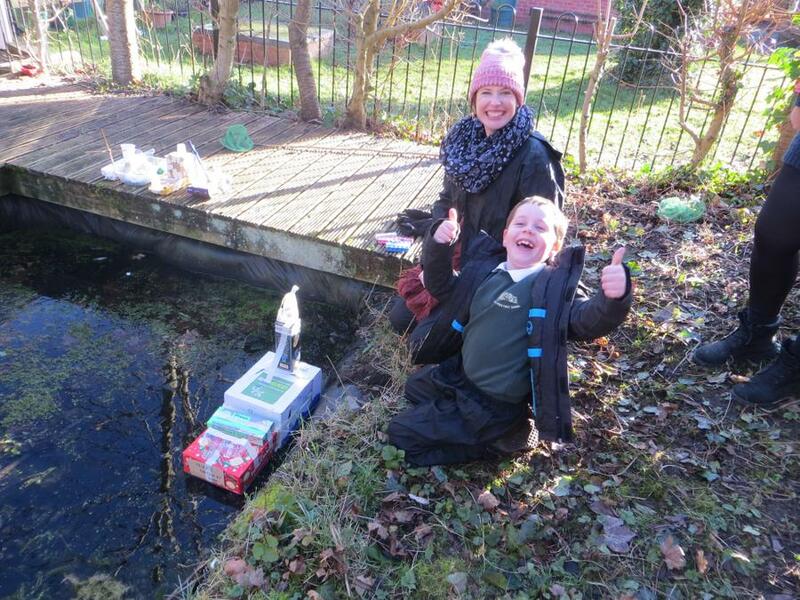 I've liked testing my boat on the pond because mine floated and held 30 cubes. I'm looking forward to doing more things in the year. I have liked DT because I got to look at all sorts of different boats. 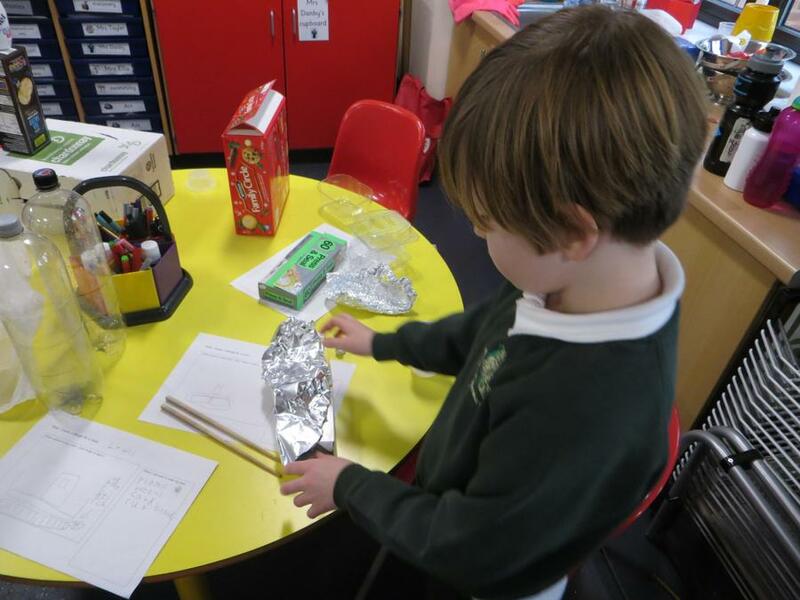 I liked making our boats because it was fun. 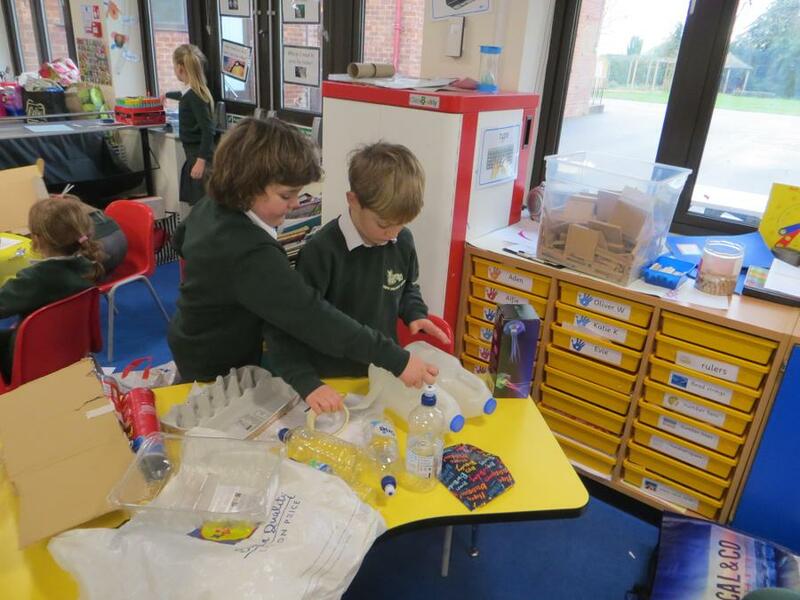 I have liked making our boats the best bit was seeing if it would float or sink. 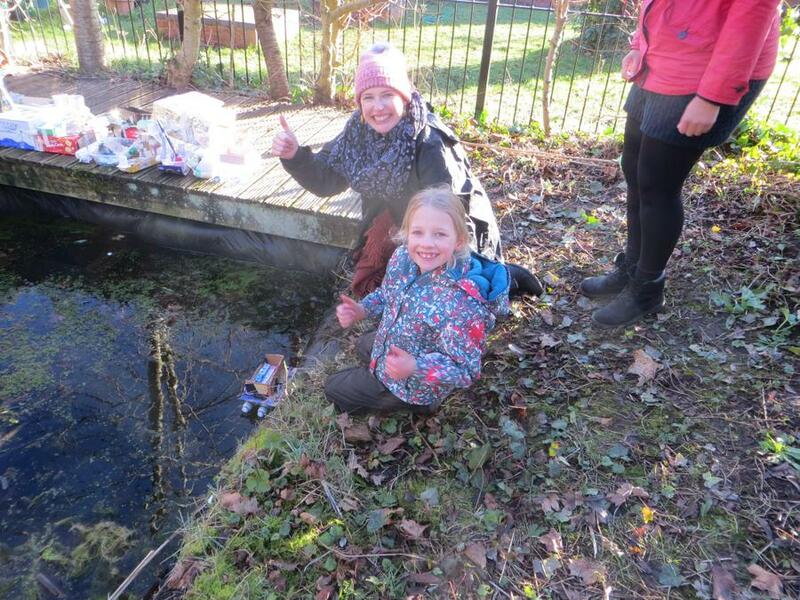 I really enjoyed testing the boats in the pond because I wanted to see if my boat could float and carry 30 unifix cubes and it did! 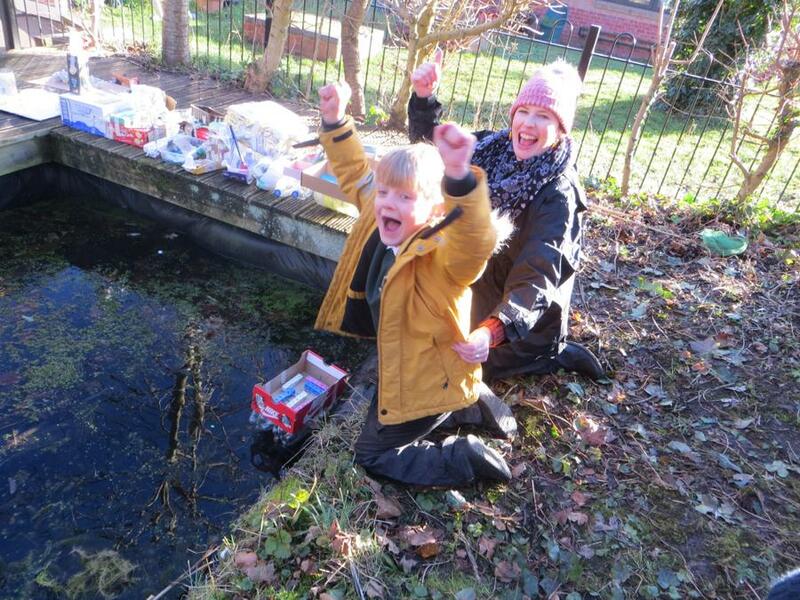 Over the last 2 weeks my favourite thing was testing our boats because we did it in the pond. 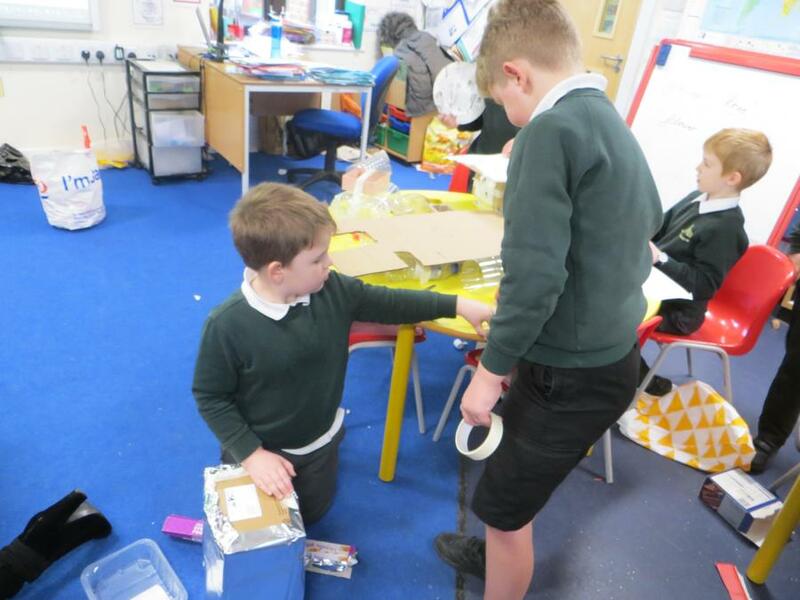 I liked designing my boat because we had to bring in materials and we all worked together. My favourite thing was writing our alliterative sentences because I like writing. 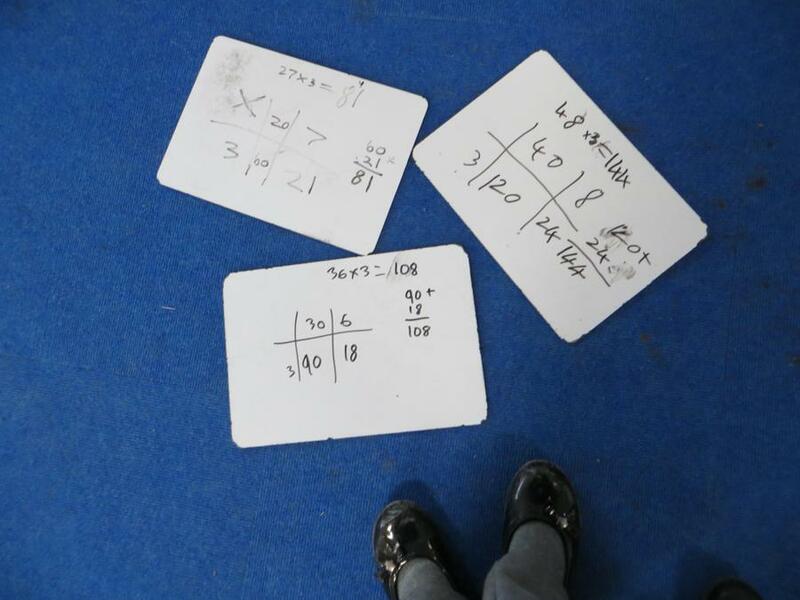 I really enjoyed doing my maths because I got to learn my multiplications and division and I got to do lots of my work. I liked making my boat because I like making things. 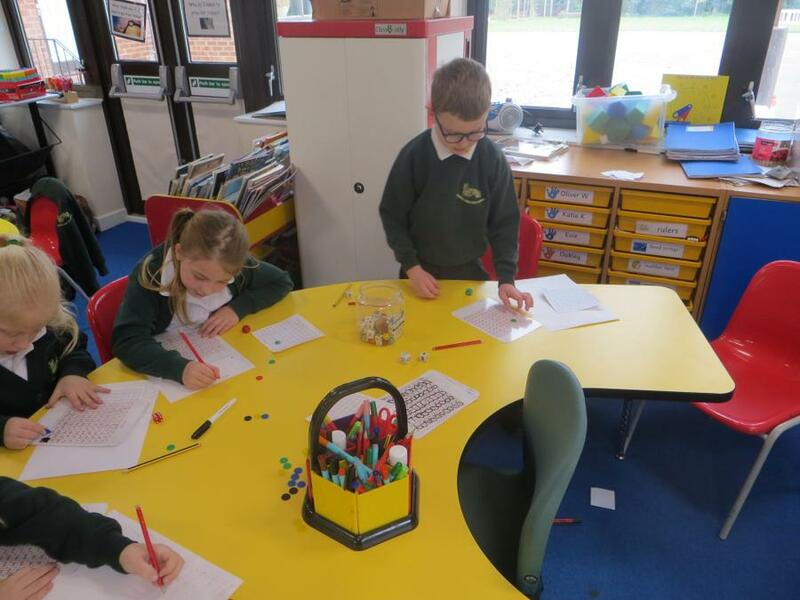 In maths the Year 3s had to times numbers by 3. 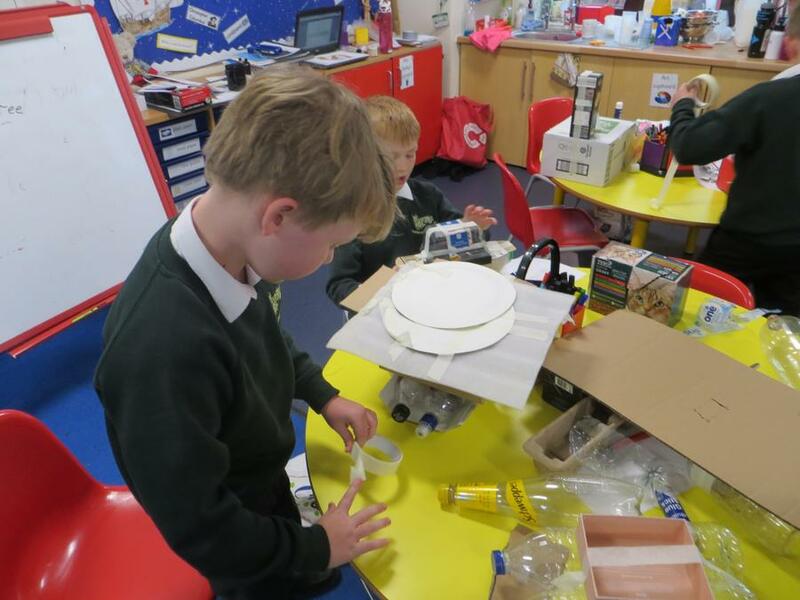 Year 2s were adding using the part, part, whole method. 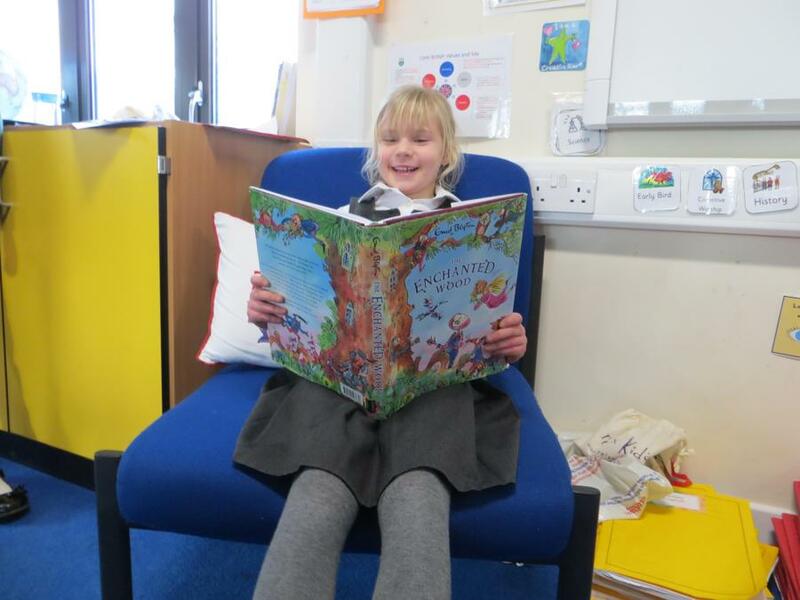 We have been reading the Enchanted Wood as a class reader. 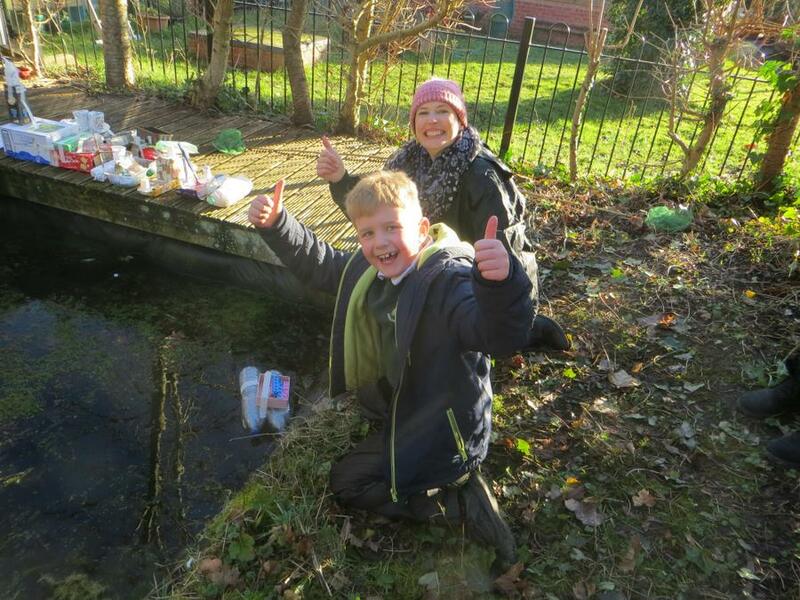 In Topic we were learning about explorers and went out in the playground to find things that aren't normally there. 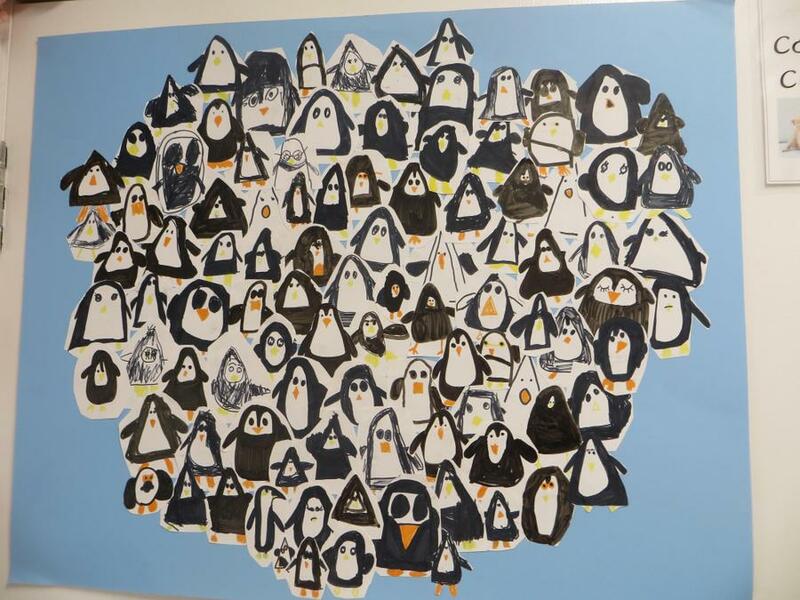 We drew them on a map. We started looking at a famous explorer - Christopher Columbus. In RE we learned about the Mezuzah and how important it is for Jewish people. We made our own and created a bookmark that showed our beliefs. I liked playing with my friends. I liked playing with my friends too. 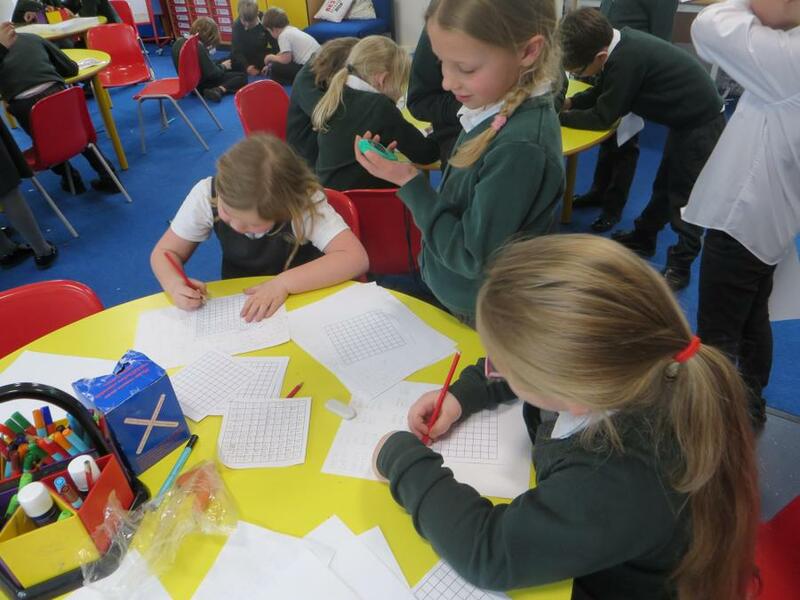 I liked doing maths because I liked doing the grid method. I liked History because I like learning about explorers and new places. I liked RE because we made bookmarks. I liked English because I like writing. I liked maths when I was multiplying by 3 and counting in 50s. I liked reading The Enchanted Wood because I want to know what happens. I liked exploring outside because it was fun. 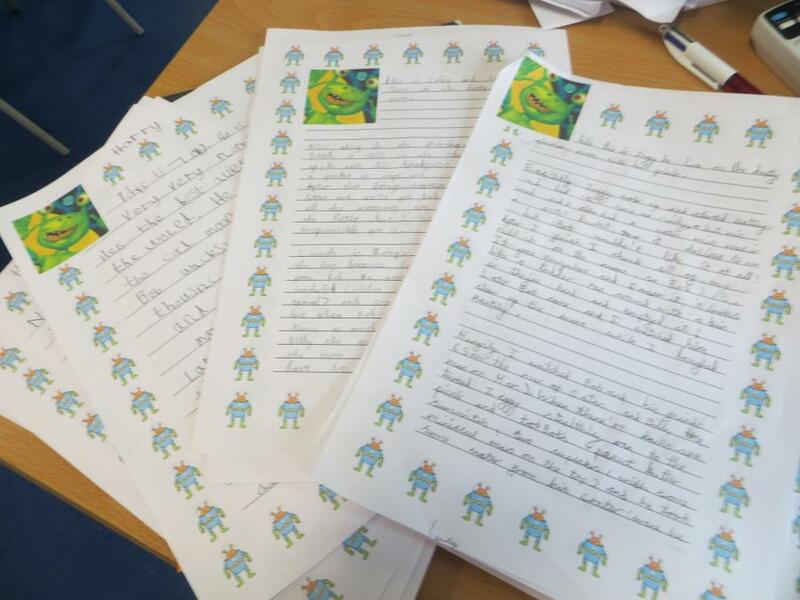 We planned and wrote our own stories about the aliens in the book. We are all very proud of our stories! 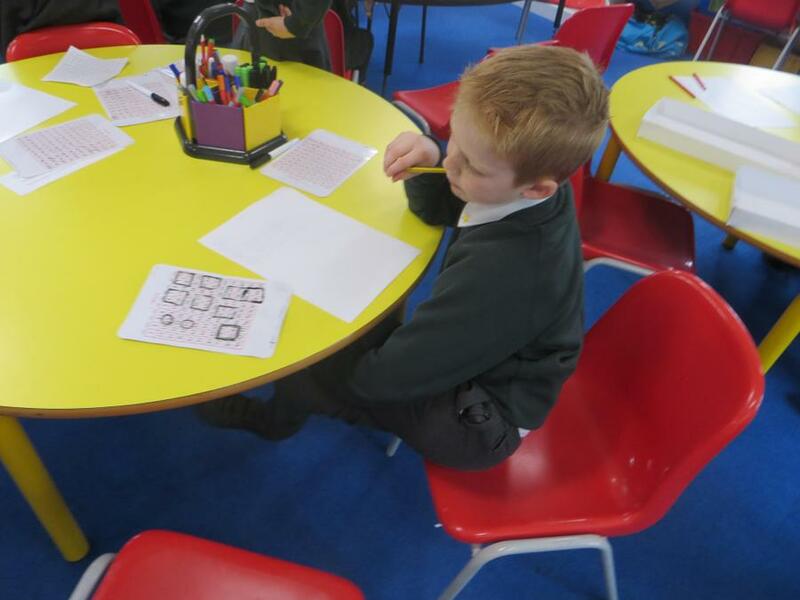 The whole school also wrote a story Class 1 wrote the beginning, Class 2 wrote the middle and Class 3 wrote the ending. 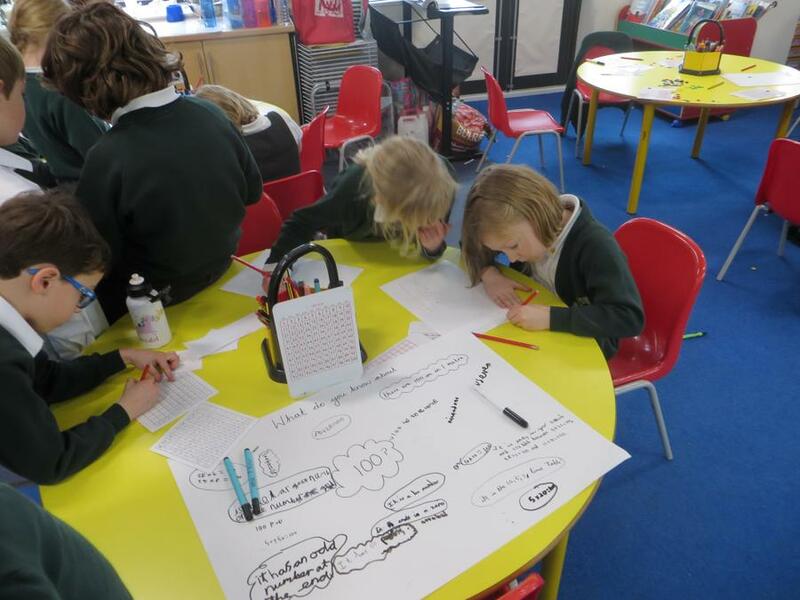 We didn't find out what the other classes had written until the end of the day when Mrs Price read it to us. 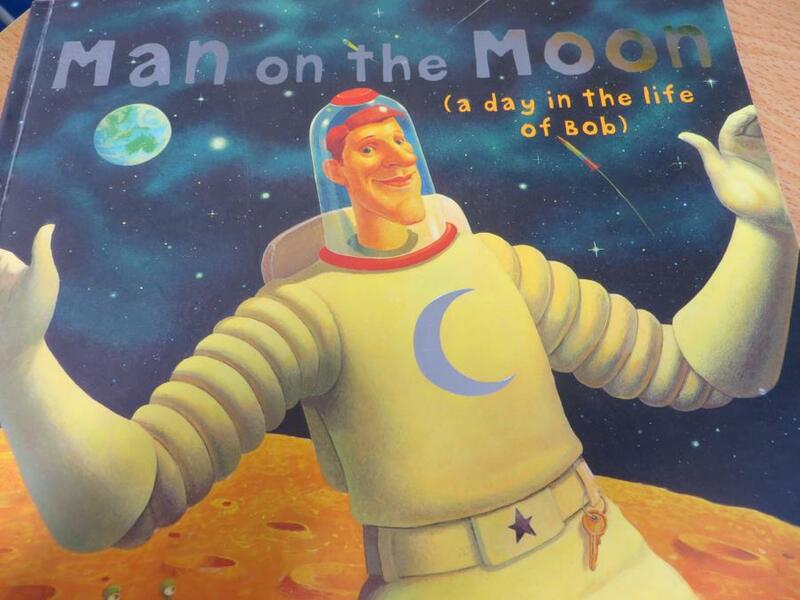 For our maths day the whole school used the book How Big is a Million. 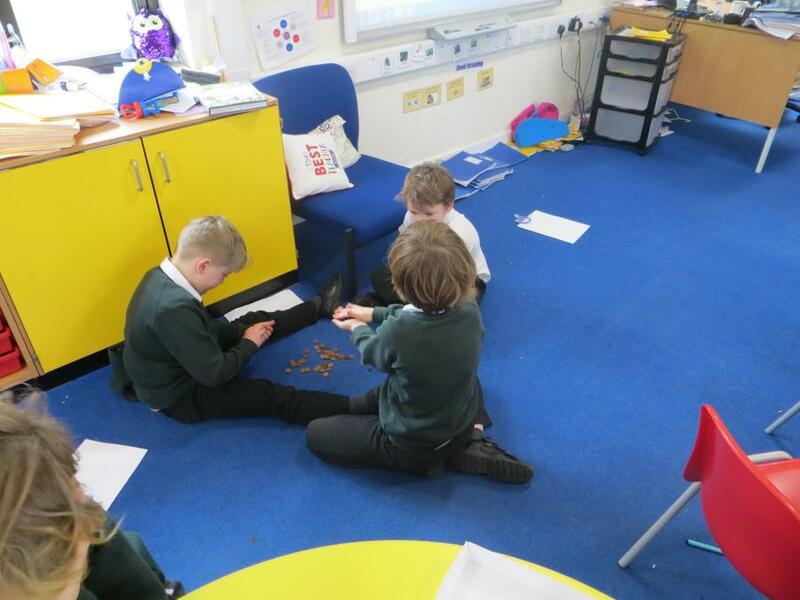 Class 2 looked at the number 100. 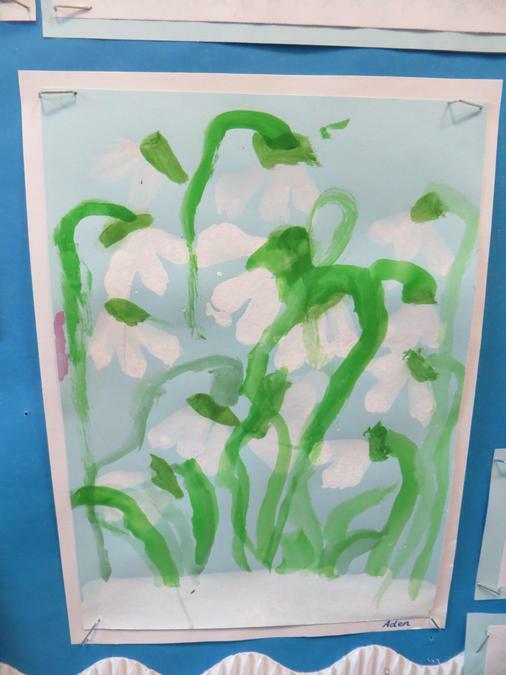 We created a huddle of 100 penguins, carried out 100 square investigations, used 100 pennies and created a bunch of flowers with 100 petals. We had lots of fun. 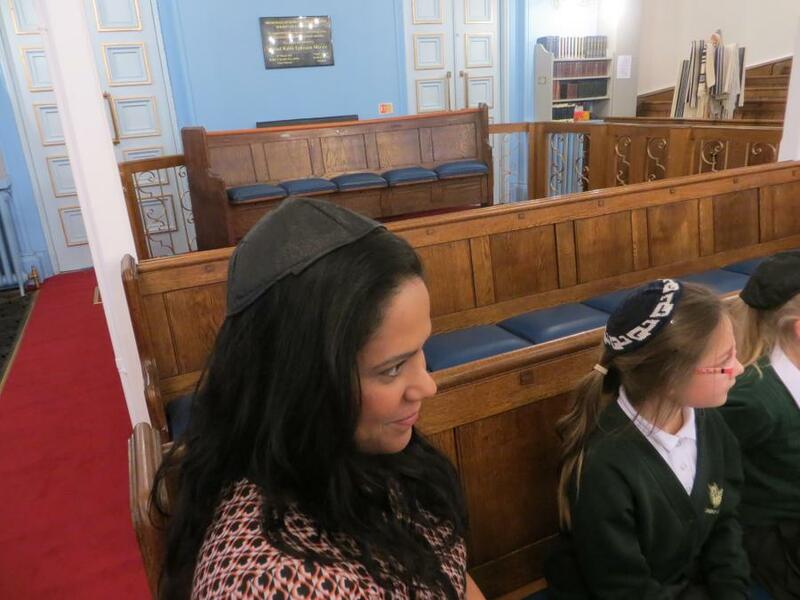 On Tuesday 12th March Class 2 went to Singers Hill Synagogue in Birmingham. 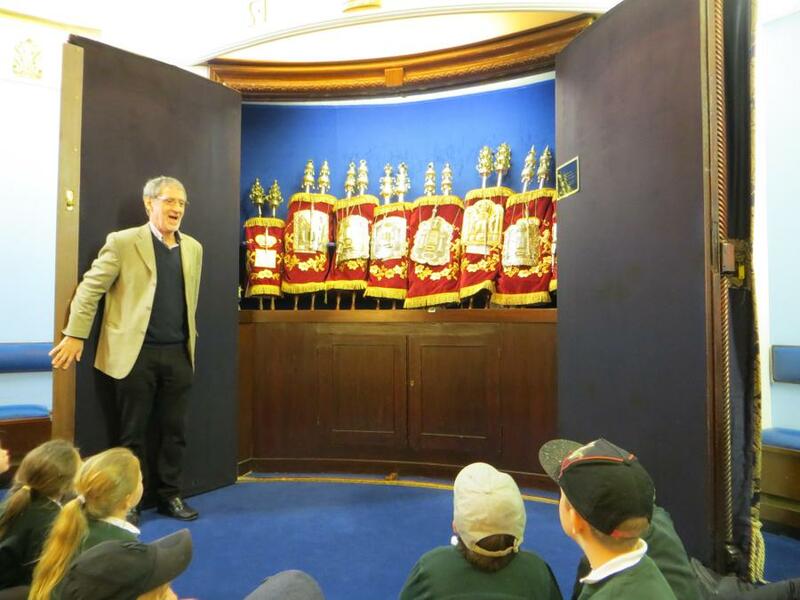 We had a brilliant time and really enjoyed meeting Geoff and learning all about the Jewish faith and their place of worship. 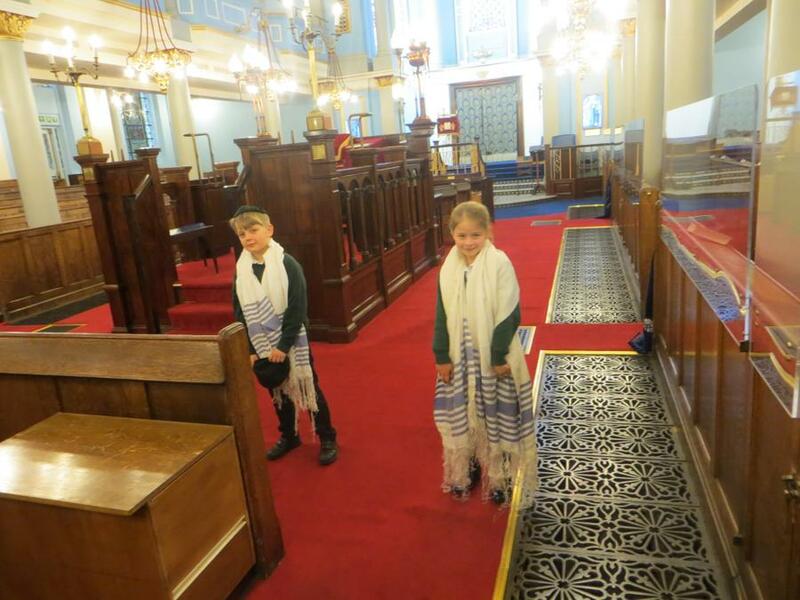 Here are some picture of when we went to the Synagogue. 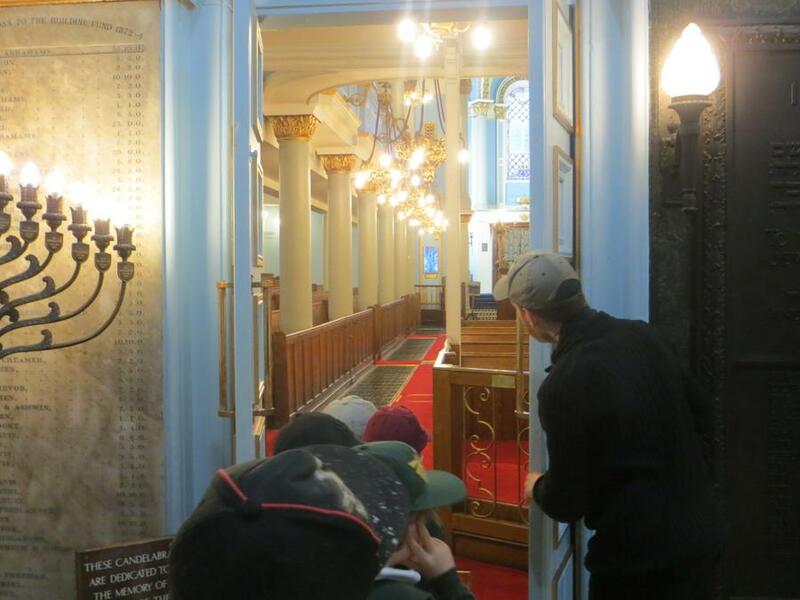 The next day we wrote a letter to Geoff to thank him for showing us around the Synagogue. 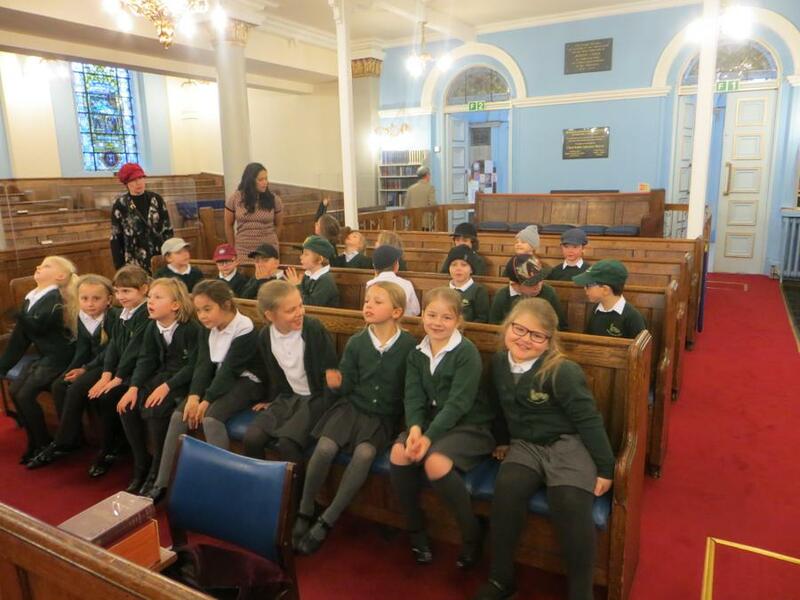 We are happily writing to you because we want to give a big THANK YOU to you for showing us all around your Synagogue and for having us. 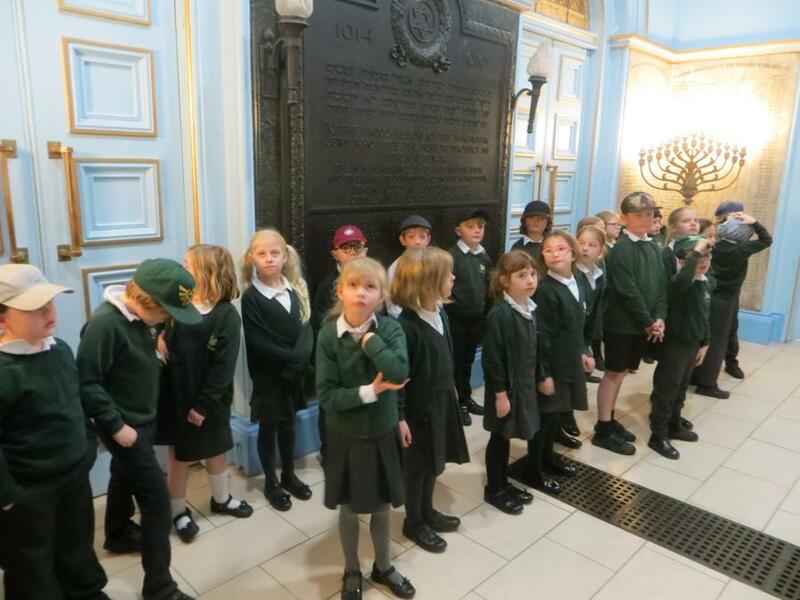 We enjoyed seeing all the different parts of the Synagogue, especially the windows, the Torah Scrolls and meeting you! We liked how you let us try things that we don’t normally try on like the hats and the shawls. We also liked when you made jokes about us, especially the naughty boys! 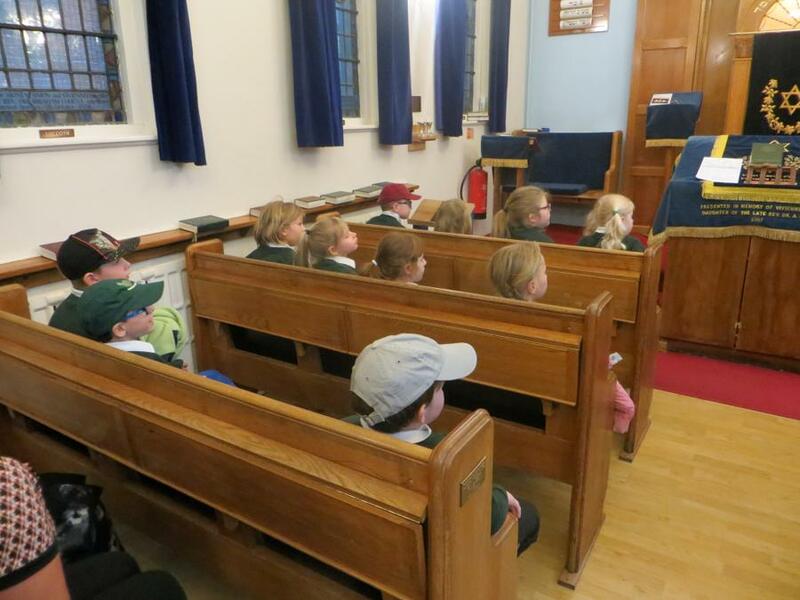 We learned lots from you and now we know loads about the Jewish religion that we didn’t know before. 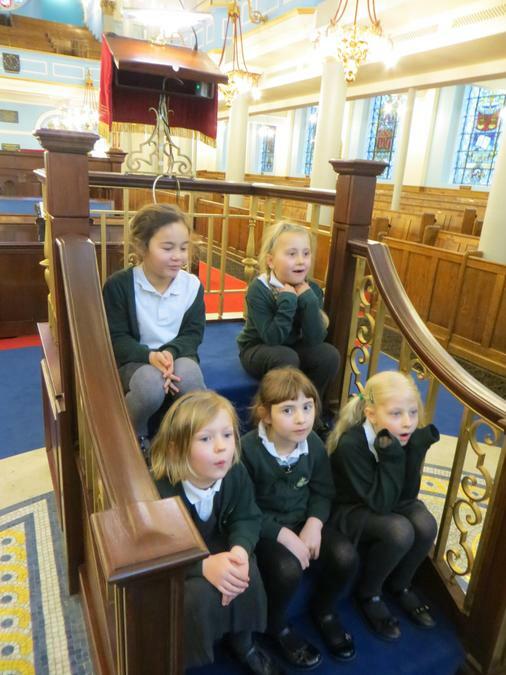 We loved the beautiful building, the marble floor and the royal colours to show God you love him. 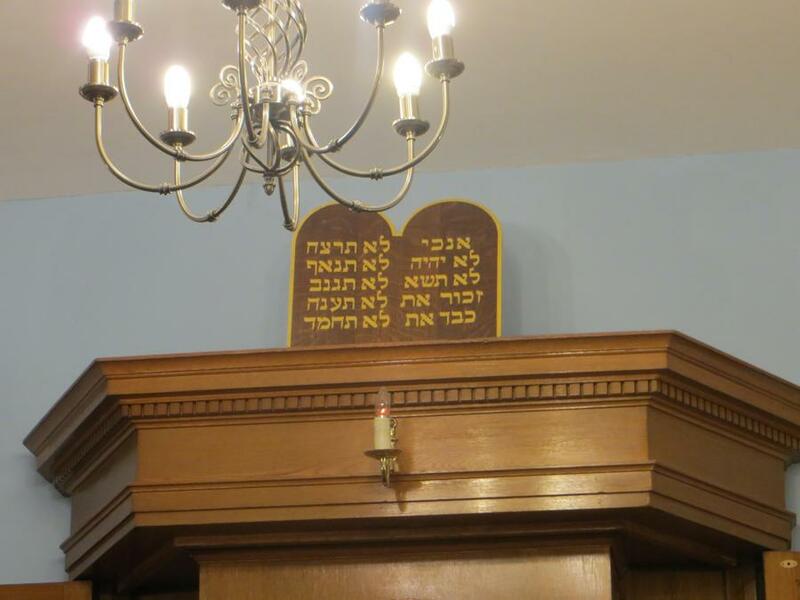 It was mind blowing to see how passionate you were about your Synagogue and how important it is to you and your family. Once again, thank you very much for all your kindness, time and care. P.S. I hope we were respectful and you liked having us and enjoyed the day too!